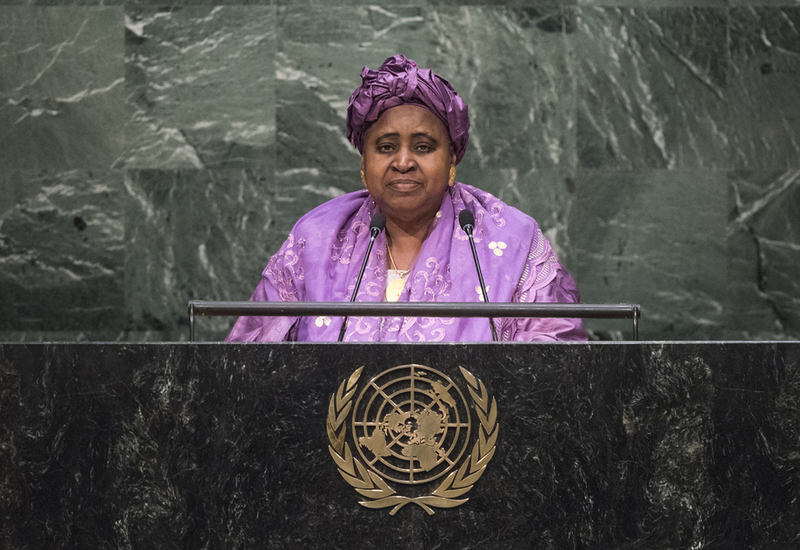 AJA ISATOU NJIE-SAIDY, Vice-President of Gambia, said there had never been a greater moment for the Organization to respond to the increasing complexity of threats to peace and stability. The United Nations must craft and implement critical resolutions for the sustenance of better lives for all. In order to establish world peace and security, all Member States must be promptly and severely reprimanded for any violations of the Sustainable Development Agenda. Condemning the barbarism perpetrated by terrorism, she said the Holy Koran had enjoined humanity to live in peace and harmony. Therefore, Muslims were required to condemn those who twisted religious teachings for their narrow interests and violated the sanctity of life. Welcoming the agreement on Iran’s nuclear programme, she stressed the need to step up collective action to end all threats to peace and security. Notwithstanding the sizeable financial support and effective intervention witnessed in the fight against the Ebola epidemic, the long-term effects had been placed at over $3 billion. Addressing those effects in a timely manner would be conducive to promoting peace and stability in the region and beyond. Turning to climate change, Ms. Njie-Saidy said the planet was humanity’s only home, which required everyone to reverse the depletion of natural resources. The United Nations must act with greater resolve in promoting sustainable production and consumption patterns and in reducing man-made disasters. Intergovernmental negotiations on reforming the Security Council must be driven by Member States themselves, she said, stressing the need to increase representation of African nations through two permanent and two non-permanent seats. Amid the marked improvement in respect for human diversity, care must be taken by every country not to impose “deviant behaviour” on another under any pretext. It was time for Africa to end the practice of others taking advantage of its natural resources. The United Nations should redouble its efforts towards the creation of an independent and viable Palestinian State, as global peace depended on the international community’s efforts to end global injustice. In that context, she suggested the establishment of a mechanism for reparations for the inhumane slave trade.